Here's my prediction/tech fantasy. What if the rumored device is just a dock that can tie two new iPad Pros together ala that old MS Courier concept everyone seemed to dig? If they incorporated some fancy predictive Force-Touch tech to make the on screen keyboard (and other UI elements) give tactile feedback when typing, then when you docked two together you could have a pretty good iOS laptop kind of thing-- or use it like a book, or flat... it'd be pretty versatile. I'd imagine with such a design they'd want to incorporate a little bit of rubber around the edges of these hypothetical new iPad Pros, or something more grippy than aluminum or steel anyway, so as to increase hand-holdability, since it seems likely the display sizes will grow leading to smaller bezels all around-- but also as a stand in for the little rubber feet on the bottom of laptops for when you've docked it into the hinge with another iPad. It'd be a good way for Apple to sell more iPads, and it would certainly make the "Pro" iPads stand apart from the feature gaining entry level iPad. Probably never happen, but it's fun to dream. Hopefully people are past the simplistic notion that ARM = iOS and Intel = macOS, but I doubt I could be so lucky. It’s just a shame Steve won’t be around to give a sly jab to all the people who didn’t see it coming. Yet It always surprises me how many mac users no matter how techy can tell which California location or big Cat their computer is running. To the point if they made this universal across the line I'd think it would do well. In that users would know if they are running AppleOS Mojave* (or just Mojave) on all their devices they'll work together. Yes then only the developers and store front care about which in the range they are targeting, but that is how it should be. *Just picking the most rumoured candidate. I guess next year will be Mojave Flats if true. I'm sure he had a good laugh after convincing everyone no 3rd Party apps when it was really obvious from that video there would be 3rd party apps. Also they had only sold 100million iPods then the phone launched by 2012 they were selling that a year. While us plebs were call calling it iOS because it was the simplest shorthand for conversation, Apple was still trying to figure out what to call it. I think they first referred to it as iPhone firmware. 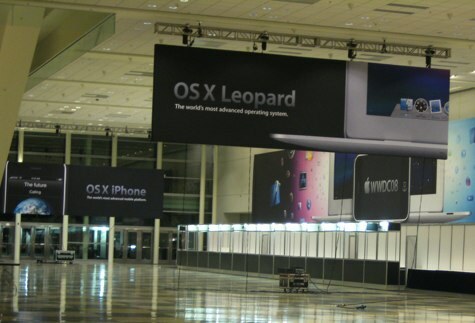 At another point iPhone OS X, and I think iPhone OS at another point before finally settling on iOS. I'm so glad it all has a uniform *OS nomenclature (macOS, iOS, tvOS, watchOS, audioOS) under the "OS X" umbrella, but that OS X designation seems to be drifting further away from their marketing. Even in About this Mac, System Information, the name of macOS Server all have dropped mention of Mac OS X. For awhile after the macOS change I seem to recall that Server was still called OS X Server or Mac OS X Server. The Mac is an open computer (no force to use the App Store) based on UNIX - I don't think that customers want a castrated iOS as their computing environment. I like my iPhone and iPad (for reading emails, surfing the web and some other simple tasks) but when working I want an open system!!! 1) I'd like the option to only see WiFi SSIDs that I've connected to in the past when I go to select a WiFi network. At the bottom of the list it will have an option to see all unhidden SSIDs. It's just far too much clutter these days, and I don't even live in an area that has an excessive number available. Ideally I'd also like the option to have it verify the BSSID which can help with the potential for spoofing a WiFi hotspot, but this becomes problematic with extended and mesh networks. 2) I dislike that between the time I authenticate to a WiFi hotspot, say a local coffee shop that changes their password once a week, or to one with a splash screen which requires you to authenticate with there firewall before you're allowed onto the internet, like at Starbucks, and then get my VPN to authenticate there's a time when many apps are services are phoning all over the place, especially Apple. I wish they could be smart enough to know when you're authenticating with a router or giving access via a router with a built-in firewall/splash-screen (one hop?) that it will not send or receive data until you connect your VPN, assuming you've checked that box to least prevent background network services from operating until that VPN connection is complete. The OS knows full well when the VPN connection is active. Even on iOS it shows the VPN icon in the Status Bar. It’ll probably come up in another thread at some point, but in the meantime, I’m going to put this right here.